In her newest book, The Secret Lives of Color, author Kassia St. Clair reveals the hidden histories of 75 colors that shaped everything from art and fashion to medicine, politics, commerce, and religion. This Friday at 7:00 p.m., the author will join us for a Late Night talk about her book, where she will discuss what inspired it, how she conducted her research, and a few favorite hues—from the ultra-pricey ultramarine to the morbid mummy brown. Here’s a sneak peek. 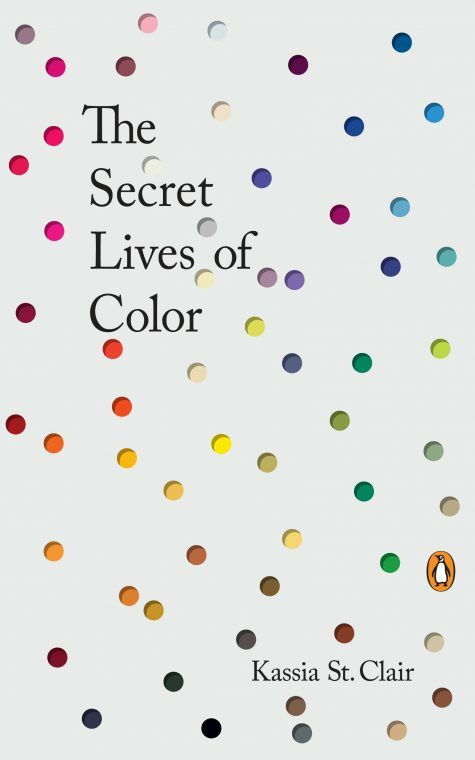 What inspired you to write The Secret Lives of Color? Several things honestly. It definitely helped that my mother was a florist, so growing up I was always seeing colors being put together creatively and was encouraged to do likewise. Academically, I became interested in color when I studied at university. I wrote my dissertations on 18th-century fashion, which involved a lot of research into the shades that were fashionable at the time: it fascinated me that they had changed so much. Some of the combinations they loved back then would make your eyes water today! I also loved researching the names or trying to figure out what a once-fashionable tone might have looked like, since often only written descriptions would survive. How did you decide which colors made the cut? Is there one that you would have liked to include but didn’t? When I pitched the book, I had a whole list of shades, dyes, and pigments that would go into each chapter, and although many of those did make it into the final book, many others did not and many more were added. The trick was to get exactly the right combination of story and variety. It would have been boring to have five yellows one after the other that all dated from a similar period and were used in near-identical ways. This is something that you very quickly discover when writing but which might not be obvious in the planning stage! There are certainly colors that it would have been wonderful to include full entries for, and many of these I was able to put into the glossary at the back. In your opinion, what is the most underrated color and why? I think black is a hugely underrated color. For a start it’s an absolutely vast category: we’re used to giving lots of different names to various whites—cream, ivory, beige, canvas, and so on—but with black it all gets collapsed in together, with very little regard for how different two shades might be from one another. I loved discovering in the course of writing this chapter that there were once two words for black: one for the glossy, luxurious kinds and another for the matte, light-sucking variety. And then again, black is often thought of as scary, unimaginative, or negative, when in fact shade and darkness can be restful, soothing, and cool. Did the research for this book take you down any unexpected rabbit holes? Yes, many! (See my answer above for just one example). But that’s why I love studying and writing about color; it’s never boring and you can’t help but be dragged in myriad directions. I also love how people initially think it’s a shallow, niche topic, but then the moment they start discussing it they soon realize just how vast and deep it truly is. Everyone has an opinion or a story or a fact that they want to share; it’s inclusive and I love hearing from people about the colors I’ve missed or anecdotes about festivals, customs, songs, and fashions that I might not know about. What was one section you really enjoyed writing and why? I love a challenge, so writing the introduction, although I always find it the hardest bit, is probably also the most rewarding. The introduction has to set the tone. It also has to cover a lot of ground and make sure everyone is carried along. Yes, you might be explaining some tricky physics (I speak as someone who gave up the sciences relatively early to concentrate on the arts), but that is no excuse for not making sure both that you understand it and that you’re making it interesting and palatable for your reader. When you’re writing, it’s my belief that you should treat your reader like an honored guest: it’s not good manners to bore on about something you enjoy but they might not. I try to be as inclusive and entertaining as possible. If you had a signature color of nail polish what would you name it? Join us this Friday for Late Nights at the Dallas Museum of Art to hear more from Kassia St. Clair. Jessie Carrillo is Manager of Adult Programs at the DMA. 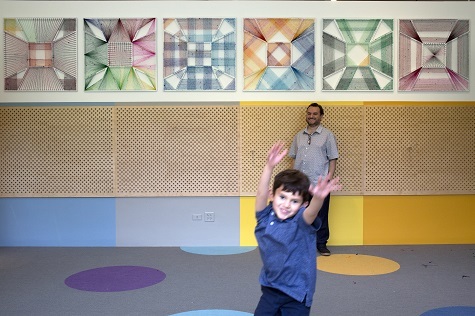 We’ve recently debuted a new space for inquisitive young Museum visitors. 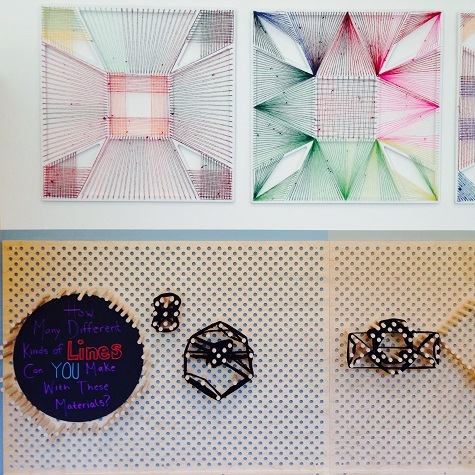 Check out the Young Learner’s Gallery on your next visit! Last week the redesigned Young Learners Gallery re-opened after a month of construction, and we are so proud of the new space. 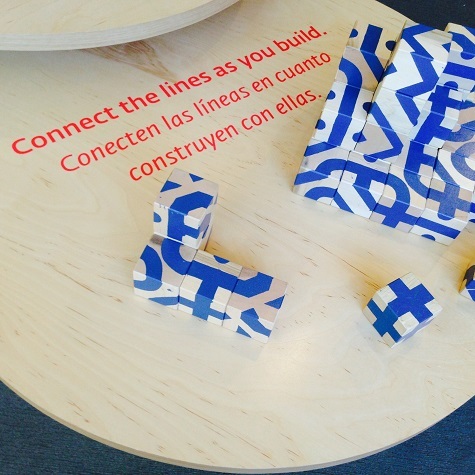 Along with a complete overhaul of the color scheme, furniture, and design elements, the new space incorporates bilingual signage, an art installation, and a variety of activities focused on the theme of Line. Windmills, by El Pasoâbased artist Adrian Esparza, serves as inspiration for children ages 5â8 and their grown-ups as they explore line through the activities. 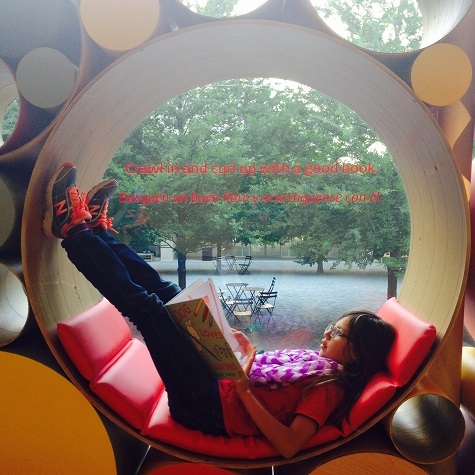 These comfy cozy reading nooks are the perfect place to curl up with a good book about lines. 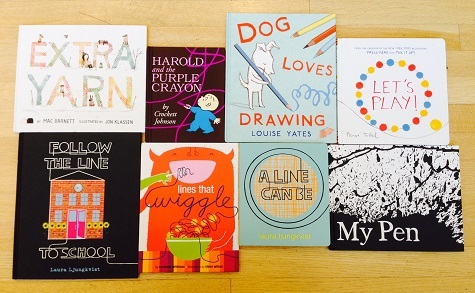 Leah Hanson, resident childrenâs book guruÂ and Manager of Family and Early Learning Programs, picked out a slew of amazing books for the reading area. Layers and colors and prints, oh my! Whether they’re used as Weezer’s album cover or turned into emoji, Japanese woodblock prints have long been admired for their striking imagery and rich detail. At the Center for Creative Connections, we’re excited to welcome three Japanese woodblock prints from the DMA’s permanent collection by Hiroshi Yoshida. The soft colors and fine details on these prints make them appear delicate or fragile, but the process behind each of these artworks requires some intensive labor. To illustrate a bit of the behind-the-scenes work that took place for these prints, we collaborated with Austin-based printmaker Daryl Howard to recreate a traditional Japanese woodblock printmaking station similar to the one Yoshida would have used to create the works on view in C3. Based on a diagram from Japanese Print-Making: A handbook of traditional and modern techniques by Rei Yuki and Toshi Yoshida (Hiroshi Yoshida’s son), the display case in C3 shows a few of the most essential printmaking tools used for this art form. Diagram of traditional Japanese printmaking setup. Illustration showing printmaker’s position in the studio. Carving the woodblocks. Each color on a final print image corresponds to a separate woodblock. For instance, creating a final image with black, red, and yellow colors would require a printmaker to carve three separate blocks-one for each color. Printmakers used a tō (knife), to cut fine lines into each wooden block, and various aisuki (flat scrapers) to carve out unnecessary pieces of wood. Chisels known as sōainomi and marunomi were used with wooden mallets to clear out large spaces on the wooden surface. Maru nomi: U-gauge carving tool used to clear out large areas on the wood blocks. Wooden mallet: used with carving tools to chisel away large areas on the woodblock. Kento nomi: used with wooden mallet to carve woodblocks. Aisuki: carving tool used to carve details into woodblocks. Choko to: knife used for carving the wood blocks. Printing onto the paper. After carving each woodblock, printmakers applied colored pigments directly onto the surface of the blocks using horsehair brushes called surikomi-bake. Softer mizubake (water brushes) were used to moisten sheets of paper before printing. To transfer pigments from the wooden block surface onto the paper, printmakers placed the paper on top of the woodblock and rubbed it with a baren made of coiled fibers and bamboo sheath. The artist would repeat this printing process, laying the same sheet of paper on top of each different woodblock to create a final image made of multiple color layers. Baren: rubbing tool made of bamboo sheath. Rubbed onto a moistened sheet of paper atop an inked wood block, the baren transfers the ink from the block to the paper. Surikomi bake: inking brushes used to put colored ink on the carved wood blocks. Mizu bake: water brush used to moisten each sheet of paper before printing. In the Interactive Gallery, we’ve developed a printmaking station where visitors can experiment with Step 2 of the printmaking process by making their own layered color prints using paper, carved linoleum blocks, and crayon rocks. Like the traditional Japanese woodblock prints, each of the carved blocks at the C3 table activity corresponds to one color that can be layered with others to create a final image. Yoshida often used 20-30 different color block layers in his prints, but our activity only requires four layers. The crayon rocks act as both a baren and an inking brush because they simultaneously apply color and transfer the impression of the carved block onto the paper. Take a look at the slideshow below to see a step by step run-through of the C3 printmaking activity. Hiroshi Yoshida, Sailboats: Morning (Hansen, asa), from the series Inland Sea, 1926, Museum of Fine Arts, Boston, Chinese and Japanese Special Fund. Hiroshi Yoshida, Sailboats: Fog (Hansen, Kiri), from the series Inland Sea, 1926, Museum of Fine Arts, Boston, Chinese and Japanese Special Fund. Hiroshi Yoshida, Sailboats: Forenoon (Hansen, Gozen), from the series Inland Sea, 1926, Museum of Fine Arts, Boston, Museum purchase with funds donated by Mrs. Laurence A. Brown’s Group. Hiroshi Yoshida, Sailboats: Afternoon (Hansen, Gogo), from the series Inland Sea, 1926, Museum of Fine Arts, Boston, Chinese and Japanese Special Fund. Hiroshi Yoshida, Sailboats: Evening (Hansen, Yu), from the series Inland Sea, 1926, Museum of Fine Arts, Boston, Chinese and Japanese Special Fund. Hiroshi Yoshida, Sailboats: Night (Hansen, Yoru), from the series Inland Sea, 1926, Museum of Fine Arts, Boston, Chinese and Japanese Special Fund. If you’re like me and you can’t get enough of this medium, check out these DIY printmaking tutorials using styrofoam and soda (yes, the drink!). For a deeper dive into the intricacies of traditional Japanese printmaking, mark your calendars for the upcoming Late Night Art Bytes on May 20, and the C3 Visiting Artist Workshop with Daryl Howard, printmaker extraordinaire, on May 21. Happy printing! A Color Spectrum of Fun! 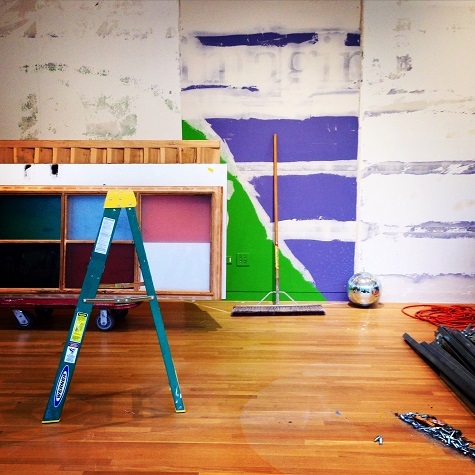 The DMA galleries have been filled with family fun this spring break! Approaching the end of our color-themed week is like finding the end of a rainbow – full of colorful smiles! Families have searched for color in artworks on family tours, chased rainbows through stories in the galleries, played with light and color mixing, and had hue-filled family competitions in the galleries. In our studio, groups have enjoyed using ink pads to create colorful fingerprint creatures. As the weather improves outside, we’re enjoying a colorful Spring Break here at the Museum! Be sure to stop by this week and join in the fun! 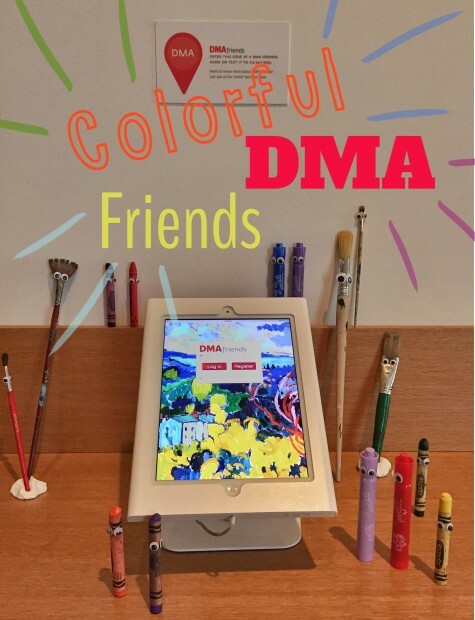 Whether you’re feeling blue, seeing red, or chasing rainbows, this year’s Spring Break week at the DMA will have something for every hue! We’re kicking things off on Saturday, March 7, with our friends at the Crow Collection of Asian Art and the Nasher Sculpture Center and throwing a day-long party filled with art making, music and dance performances, yoga, and lots of art! Need a little more color in your world? Daily family fun at the DMA will continue March 10-13. Take a spin on the color wheel and enjoy story time in the galleries, family tours, art making in the studio, family competitions, and more all week long. We invited a few of our favorite families to come take a sneak peek at what we have planned for the week and give us their colorful commentary. Throughout the month of January, our Early Learning program participants have enjoyed spending time with contemporary art here at the DMA. 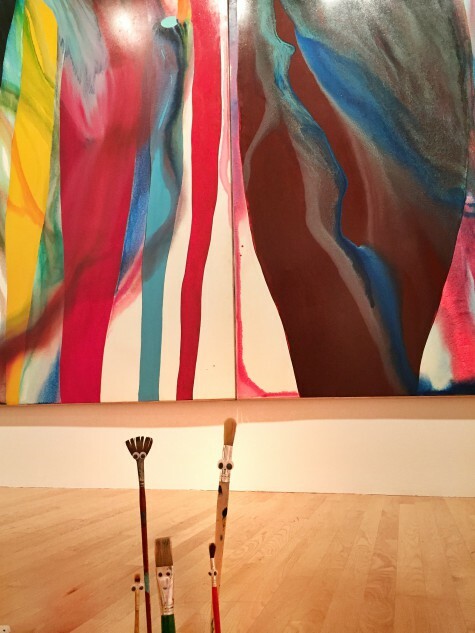 January’s Toddler Art class focused on the colors found in Sam Francis’ breathtaking Emblem. The toddlers had a blast pretending to mix and splatter paint onto the giant canvas! We also celebrated a successful launch of the DMA’s newest class, Art Babies, designed for children 0-24 months and their caregivers.